Photos: Silvija Markeviciute / © SwO. 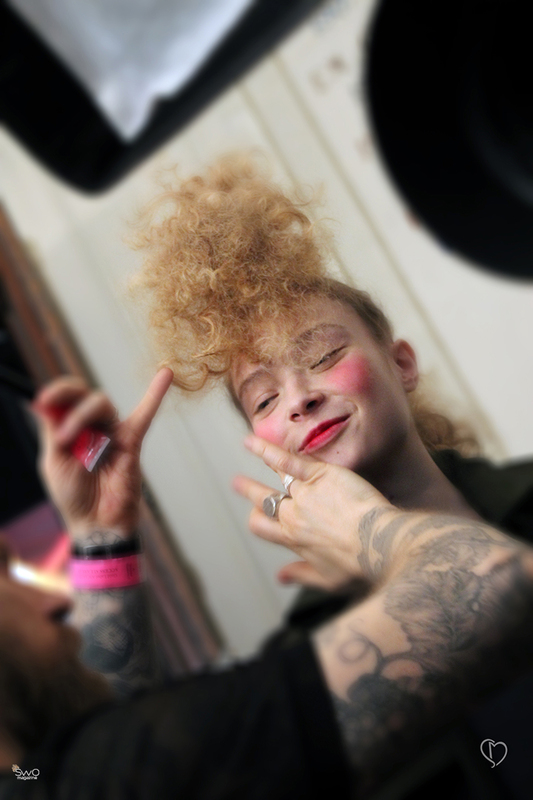 I always want to start an article with an eye-catching sentence, but this time I will simply say VIVIENNE WESTWOOD! 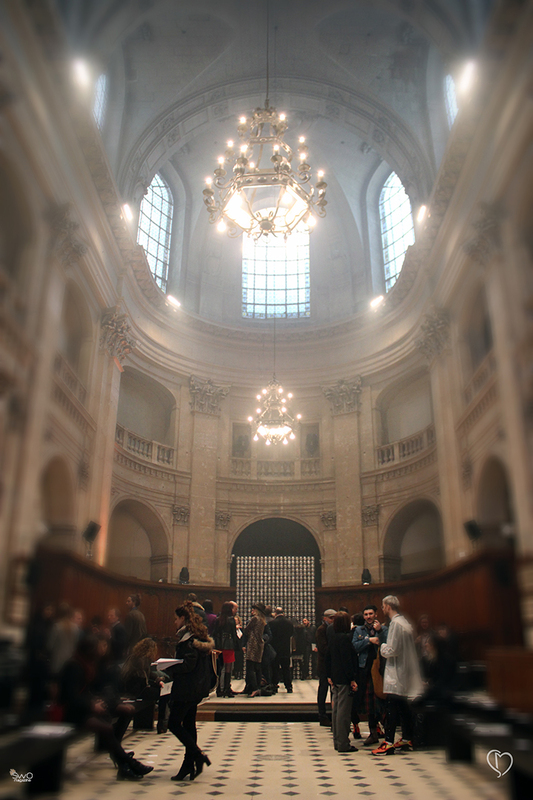 The very first day of spring Westwood started in Oratoire du Louvre church, where she showcased “Gold Label” F/W collection for the next cold season. Most attention was paid to The House of Worth and his works. 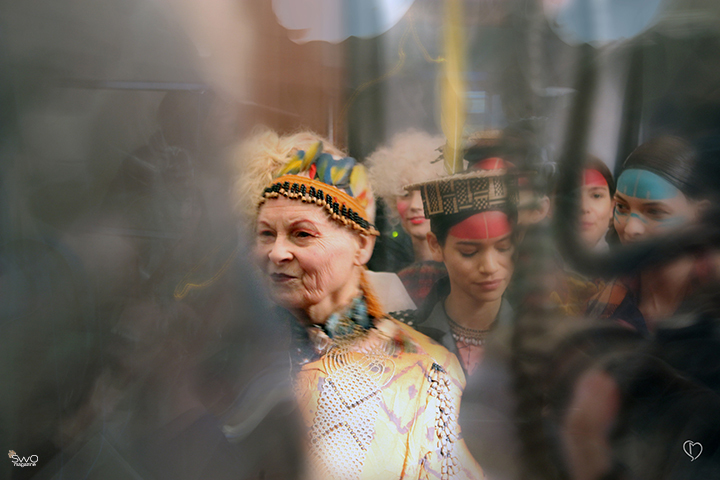 Vivienne presented with stylish but rebelling spirit preserved pieces, which are so common to her work. Most of garments were long, covering most of the body with many different patterns and prints, while short dresses playfully flirted with asymmetry. Silvija Markeviciute, who participated in the show and helped to prepare the models, said that the backstage is so different from the grand and magnificent outside of the show. 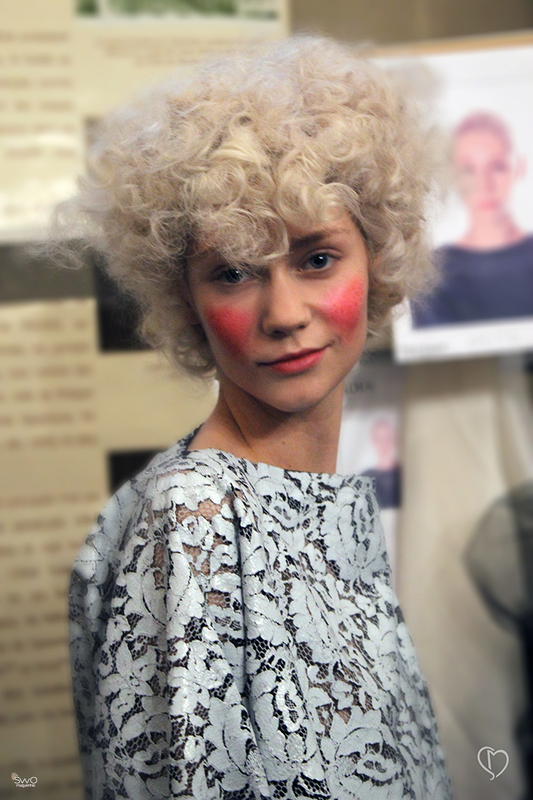 “Running around Vivienne Westwood seemed so simple and considerate towards everyone. I saw how she praised one guy and the poor thing was shaking and nodding all the time. Maybe we all make celebrities bigger than they are?” said Silvija. She was also astounded by Westwood’s ability to combine different culture. 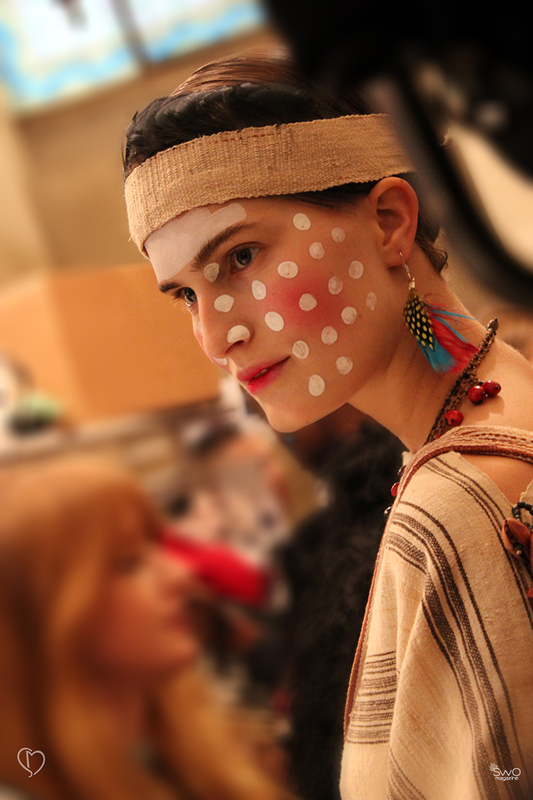 It appears that the make-up was inspired by Peruvian tribe called Ashaninka, which lives in the rainforest (by the way, the designer fights for the preservation of rainforest). Westwood used a lot of traditional British fabrics of which most common was tweed. 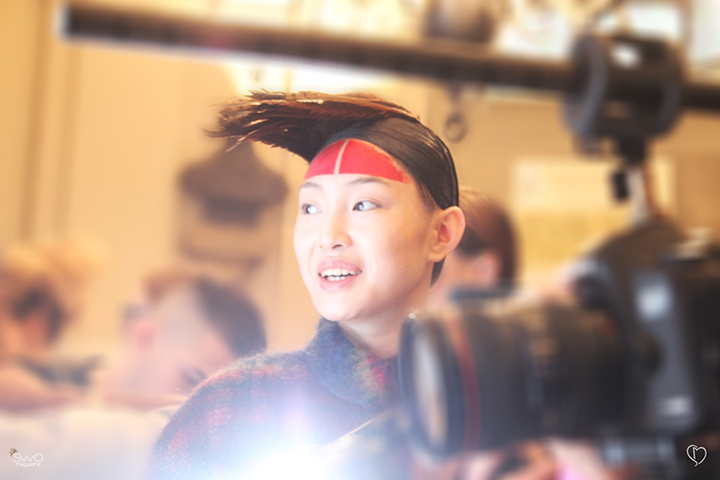 For details she chose feathers and knitwear that helped to create exotic look and elegance. In the collection we find intertwined cultural layers, which not only were aesthetically pleasing but also inspired to rethink global issues. 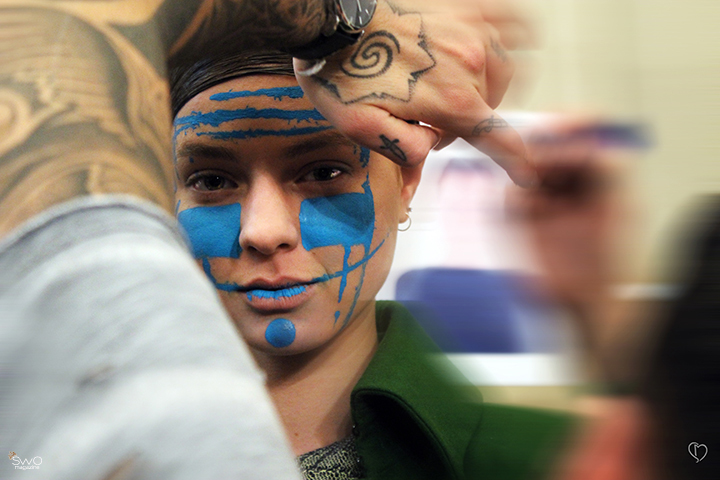 This time let’s peek to the backstage, where Silvija Markeviciute took some pictures for SwO readers.